On July 6, Twitter announced that they would start to lay golden eggs on their account, @earlybird. These are actually "magical deals" offered by Twitter's advertising partners. These exclusive offers appear every few days and are expected to be short-term deals or event promotions for the Twitter community. The first offer appeared on July 14 from @DisneyPictures to promote the Sorcerers Apprentice . Many of you use Twitter to stay on top of timely, relevant information, and lots of businesses are already sharing special offers on Twitter. We believe that surfacing deals through the @earlybird account will help you discover the best of those deals, as well as find and follow accounts that consistently provide exceptional value. Will I see these Tweets in my timeline all of the time? 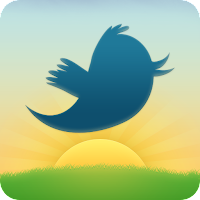 You will see the @earlybird Tweets if you follow the @earlybird account. Like any other account, you can follow and unfollow @earlybird at your whim. You may also see these offers if someone you follow retweets an @earlybird tweet. If I retweet @earlybird, how will it show up to my followers? Retweets of @earlybird Tweets will act and appear like other Retweets and will clearly indicate the original author, whether it be @earlybird or the advertiser's account. Given the name and nature of the account, it won't surprise you that offers are always time-sensitive and sometimes supply-sensitive, so they may run out quickly. Our advertisers are responsible for the terms and conditions of each offer, so please review them if you have any questions. Follow @earlybird to catch the deals.